"Celebrations are taking place today across Finland, the beautiful Nordic country of lakes and islands as the 97th anniversary of the day Finns declared independence from Russia is marked. It took a further month for the Russians to acknowledge this formally in January 1918, but for the Finns, with a long history of being part of either Sweden or Russia, enough was enough and December 6th, 1917, is the day Finland left the Russian Empire and became independent. That independence of spirit is an essential element of the Finnish psyche. Think of Finland and think of the glories of the music of Jean Sibelius, an ardent nationalist whose most famous work, Finlandia, Op 26, his dramatic symphonic poem, written in 1899 and revised the following year, was partly an expression of protest against increasing Russian censorship. It is a piece of music that forms a fitting soundtrack for the many heroic achievements of Finland's majestic middle and long distance runners who continue to take their inspiration from the legendary Paavo Nurmi, one of track and field's most enduring champions and winner of nine gold and three silver medals in an Olympic career spanning three Games: Antwerp in 1920, Paris in 1924 and Amsterdam in 1928. 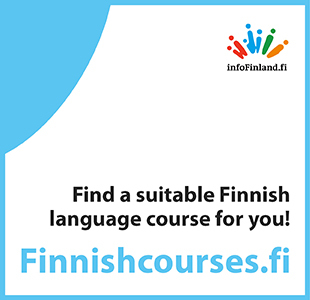 Think of Finland and think of the many great athletes, runners and javelin throwers, not forgetting rally drivers, who have emerged from a population of little over 5 million. Finland is an enigma; an archipelago of water and trees. Santa Claus is believed to reside there. Bordered by Sweden to the west, Norway to the north, Russia to the east and Estonia to the south, it retains an individuality most brilliantly personified by an artist and writer of singular originality, Tove Jansson, who was born to Finnish sculptor Viktor Jansson and the illustrator Signe Hammarsten, in Helsinki 100 years ago this year. Jansson is remembered as the creator of the Moomin stories which began in late 1945 with The Moomins and the Great Flood. In it Moominmamma and Moomintroll are searching for a safe place to build a house, in the hope that Moominpapa, who had already set off the same quest, will return. By the publication of the third story, she was famous. All in all there would be ten books and an industry with various spin-offs – a kind of Nordic Disney..."